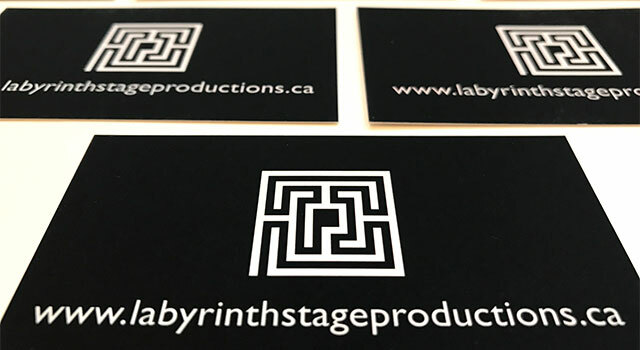 Labyrinth Stage Productions is a new member of the Montreal English theatre community and the Quebec Drama Federation. A creative and insightful theatre company with the goal to produce originals. Labyrinth turned to CommDesign for the development of a new identity. We were inspired by the name. The Labyrinth is an ancient symbol and a metaphor for life’s journey. 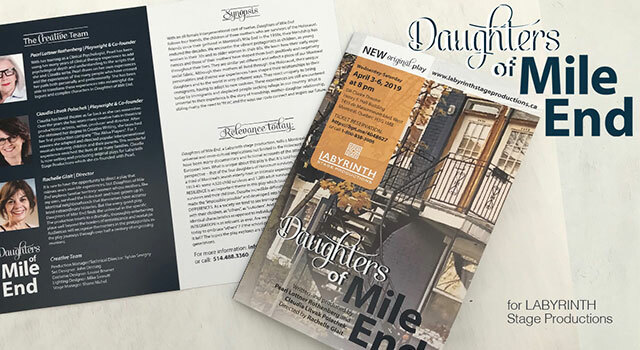 It represents a circuitous journey to one’s own centre and back out again into the world with some degree of personal transformation having taken place in the process. The Labyrinth symbol was developed to reflect this idea. It does not include any blockages or “dead-ends”. The discovery path into the centre is at the same time the way out. It represents the creative writing process as well as personal quests we go through in life. The branding was kept in black and white to represent both theatrical elements such as the “spot light” vs. the shadows and “behind the scene” as well as the apparent and hidden aspects of people/characters and their complexity.